Home General How About a “Recycled” Watch? How About a “Recycled” Watch? 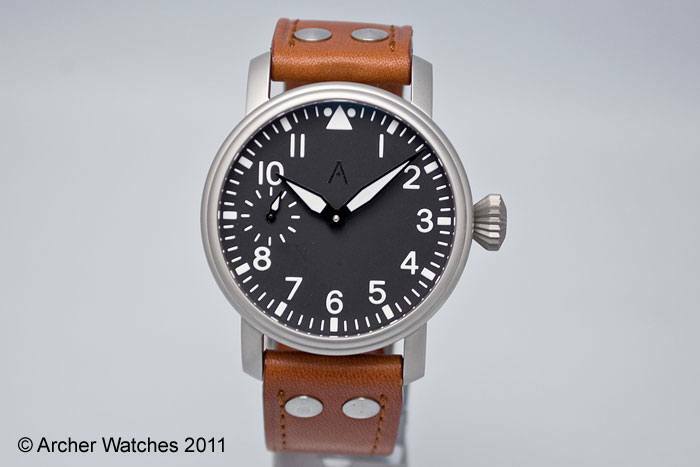 If you recall from my prior post on the Archer Aero II, you’ll know that I quickly became a fan of the watch, and the service that the owner, Al, offers. And, at first glance, you might wonder why I’m featuring this pilot watch, as it’s not displaying any of the uniqueness that Iwas so fond of with the Aero II. Of course, it also helps that this is another visually stunning (and clean) watch. You have a 42mm stainless steel case (11mm thick) with a bead-blasted finish, with sapphire crystals in the front and back (the front crystal has AR coating). The large crown should make for easy winding, and you have your choice of black or brown leather straps to have slipped in between the 22mm lugs. Oh! 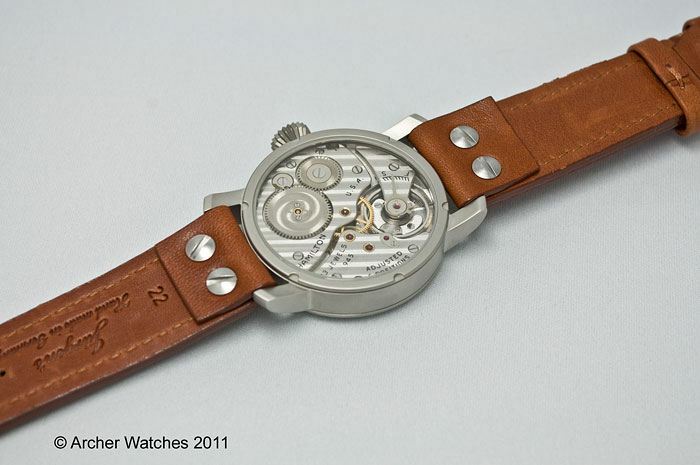 And the whole thing is WR to 50m, so your vintage movement is well protected. Pricing isn’t as straightforward on these, as I imagine that it’s rather dependent on which of three movements you would want included in the watch. However, drop a line to Al (the contact info is on the Vintage page), and you should be able to get the ball rolling pretty easily. Previous articleI Need More Cowbell!